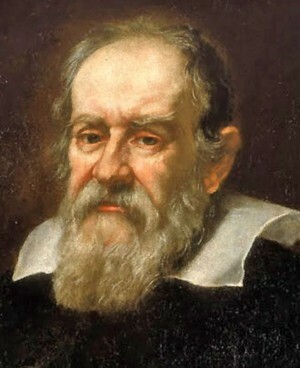 I have chosen to reflect upon the quote by Galileo Galilei, a pretty famous Italian physicist, mathematician and astronomer (a bit to early for the enlightenment though, hope no one minds). I think Galileo meant that everyone has to learn things thereon, and that we cannot tech anyone something just by telling. I both agree and disagree with this quote. I think the quote is true because I believe that it is hard to learn by only listening to others. We can remember what others tell us but is it not then just a memory? I think we have to absorb the knowledge and reflect upon it to really learn it (to learn semantically) and find answers an conclusions ourselves, therefore I think no one can teach anyone else something only help him/her learning. In all sorts of learning people can try teaching us but it is always us in the end making ourselves learn. “within himself” – it sounds a bit like we already possess all knowledge, which reminds me a bit of Socrates’ teaching that we from birth possess all knowledge and that we will get to the knowledge through the right questions. Maybe we already have all answers inside us. We just need others helping us to find the right questions. Which supports the quote; that we cannot teach anyone anything only help him or her find the answers. On the other hand I have difficulties to see the difference between helping someone to find the truth and teaching them. To find out if it is true or not I think we need to define teaching. Because helping someone to find answers could not that be to teach, what is really the difference? And must the person learn so that we can call it teach? I don't believe that we already possess all knowledge from birth, i think that when we are born our brain is completely empty but from the first moment in this world we start to fill ourselves with knowledge by listening to others and challenge ourselves to try new things. I also believe that it doesn't matter how much someone tries to teach us if we don't want to learn what they are teaching us, so my opinion is that we can call it teach eventhough the person doesn't learn. I agree with you Nora. I belive that we have some basic knowledge from birth, but not all the knowledge we need in life. So, we need someone that can help us with the knowledge we already have within ourselves and teach/help us learning the knowledge we need in life. I see teaching as helping. I mean, by teaching you help another person learning, and by helping you teach another person learning. So basically helping and teaching are the same thing, just different names of it. That is my oppinion. I think there can be alot of difference oppinion over this. Maybe teaching is when someone have more knowledge about the thing you wants to learn and helping is when the person are equal in knowledge to you? It is an interesting quote, but I don't think you can use it to explain everything. As you say it is often necessary to work the new information in, and try to understand it on a deeper level, but it is not always like that. If you talk with someone who has a good common knowledge (like someone in our class), you can learn something by only hearing it once. Of course you need to read about it yourself to understand it, but such things like dates does not have to be practised. I think that we have basic knowledge from birth, like Linnéa said. Breathing is an example of that. You know how you breathe directly from the birth and don't need to learn it later. I think that we don't have knowledge about things that we learn in school. I think a bit like Felicia also, that if we don't want to learn, we don't learn it neither. So the IB-program is a really good program, because you chose the subjects you want to learn more about. I think that the best thing for learning is that someone tells you something that you are interested in or of your own experiences. Thanks for all the really great comments! About posses all knowledge from birth I don't think they mean "which year was the french revolution" and things like that. More basic things and I kind of agree with that. When we reflect etc. I think we in some cases use things we had inside us and that we might did not know we had but came to us because someone gave us the right questions to get them, maybe? That it is easier to learn about things we are interested in and we want to learn about supports the quote I think. That we choose ourselves what to learn and not otherwise wouldn't it be the same for everything we learn?